It wasn’t long ago that many customer-facing businesses believed they could ignore social media if they were not hoping to attract younger or more technologically savvy consumers. Unfortunately, that was never really the case. Social media platforms are the leading medium for consumers to voice their opinions about every interaction they have with a company and its services or products. Expectations for immediate attention and speedy replies have raised the bar for businesses to meet. If a customer had a bad experience, it’s more than likely they’re going to talk about it, tag your business and make sure their social network knows what happened. Conversely, if they have a positive experience that exceeds their expectations, you hope the same outcome will occur. The onus then becomes on business owners to keep an eye on their social media feeds and respond when appropriate. Keeping a consistent voice and message is key when dealing with consumers on social platforms, and often it pays to have a social media expert handle complaint resolution and establish customer service protocols. Posting a defensive response or arguing a complaint can backfire, causing a bad situation to become even worse. These types of negative replies can even generate headline news your business won’t soon live down. Businesses rarely receive the benefit of the doubt, and in the eyes of the public the customer is usually right. It most cases, you’re better off trying to resolve or accommodate a customer’s complaint or request rather than publically dispute what that customer has to say. Social media is the new customer service platform and entrepreneurs must have a plan in place to communicate and react accordingly. A well-planned and executed social media strategy can even result in earning customer loyalty. Acquiescing to a customer’s request or complaint, even if you don’t entirely agree with their issue, can generate goodwill towards your brand and demonstrate to consumers that your business actively cares and listens to how its customers feel. This has real monetary value that should be weighed against any potential loss your business will incur resolving a dispute. Have a dedicated and qualified social media customer service rep on hand that constantly monitors Facebook, Twitter, LinkedIn, Google+ and any other social platform your business uses to look for complaints and keywords your related to your business’ brand. You need to place a customer service expert, not just a technical expert, in this position to handle your business’ social media channels. Your social protocols for customer service should parallel your other customer service channels. This means having similar strategies in place to offer rebates, free exchanges or returns your social customer service rep can offer at any time. The time frame a business has to resolve a customer complaint is dramatically reduced on social media. What once was a 24 to 48 hour window to follow up and resolve a complaint is now down to about an hour or less through social media platforms. Keep in mind that the longer a complaint goes unresolved on social media the more it will continue to escalate. Quick and timely resolutions and responses will help satisfy an upset customer. Try handling offensive or extremely negative posts or comments privately whenever possible. Make sure to use a positive and considerate tone in your communications. With a careful and considerate approach to this type of complaint, you may be able to successfully convince the customer to delete or retract their negative comment and share their positive experience. Take advantage of social media platforms and be proactive in how you deal with customer service. 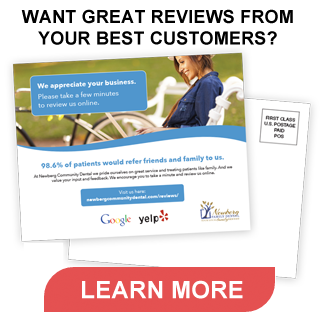 Read what people have to say about your business. Look for the needs and wants of customers and see if you can offer a solution to any problems they may have. Make these types of situations advantageous to your business by presenting customers with your services or products as a solution. You may just end up solving a problem the customer never knew they had.